Have the luck of the Doctor on your side as you roll your dice. But if you roll a one, Remember the first words of the 9th Doctor: RUN. This is printed to order. 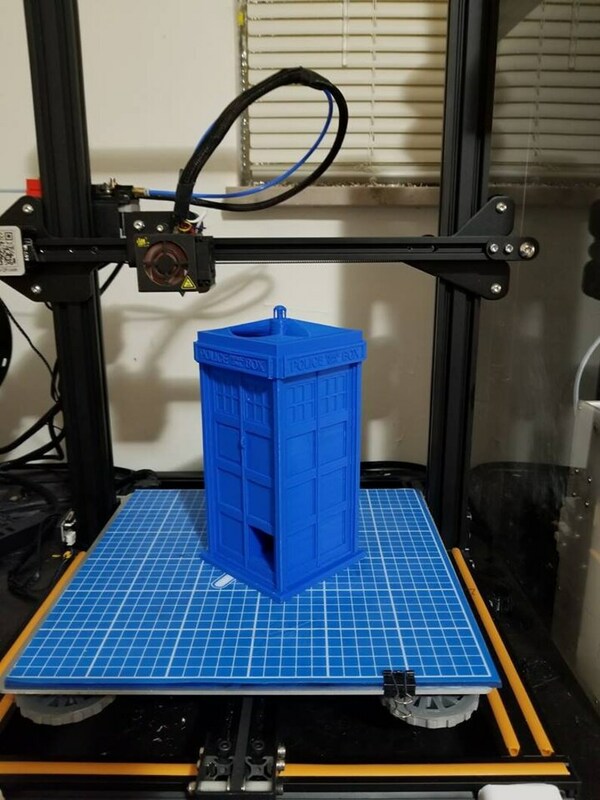 Tardis Dice Tower by craig19951995 is licensed under the Creative Commons - Attribution - Share Alike license. It took 39 days from order date to arrival date to receive this item, with NO contact from the seller until I messaged them to find out where my order was. AND even after saying "we plan to ship it on 12/24," the seller didn't actually put it in the post until 9 days after that, as evidenced by the date on the postage tracking. I had hoped to give it as a Christmas gift... arrived 10 days too late. Additionally, although the person the gift was intended for liked it, but I myself am not pleased with the quality. The printing is sloppy, and there are many flaws/bumps on the parts that are supposed to be flat. I would return it/ask for a refund, but I feel like the seller would ignore me. Will not be purchasing from this shop again. We do apologize for running behind, we are making every attempt to notify anyone effected by the delay and to offer solutions to this. Regarding quality: We did not hear of any complaints before the Customer has left their review. We have contacted them on 1/4/19 after the review was posted to see how we could correct this issue. Unfortunately we have not heard back (12 days at the point of this response.) We welcome MusicalRose as well as any customer who has any issue with what we send out to contact us to allow us to fix any issues they find.